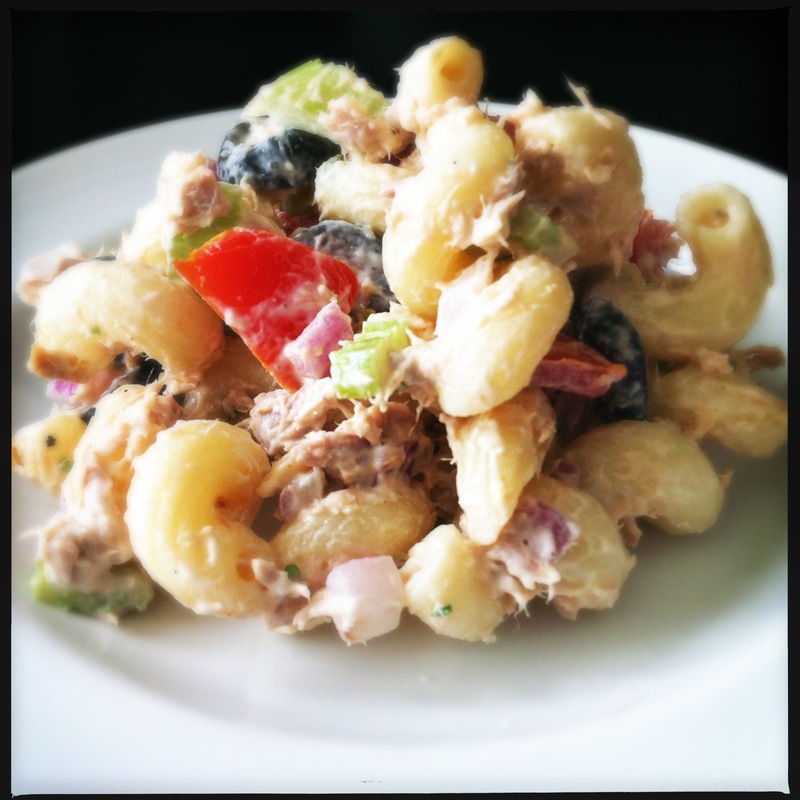 classic pasta salad | omfg. so good. Remember when I said I was constantly trying to come up with new salad combinations to take the monotony out of summer meals? Well, this isn’t one of them. Meaning this, like the family potato salad, is the same recipe I’ve been using for over 15 years. And this, like the family potato salad, is classically delicious. Boil pasta according to directions, to al dente. Drain and rinse with cold water. Allow excess water to drain then transfer to a large serving bowl. Add drained tuna and stir to combine then set aside. Dice the tomatoes (I like to scrape all of the seeds out too, but that may just be my own little odd behavior. It’s your call.) Dice the celery and onion. Mince the garlic. Chop the parsley. Combine all of the vegetables in a medium sized bowl, add salt and pepper and toss to mix. 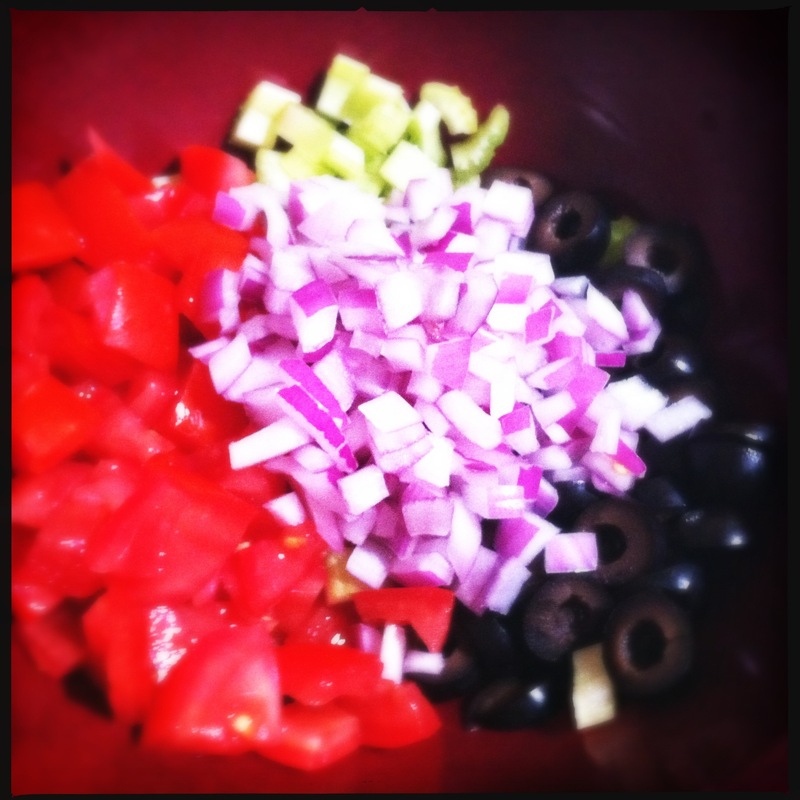 Add vegetable mix to large bowl with pasta/tuna and stir to combine. Add the mayonnaise and stir gently to coat. And, there ya have it. Now, go make this then invite over 7 – 9 friends and share it with them. They’ll think you’re amazing. Maybe they’ll even bring you bottles of wine or six packs of beer as a thank you for your cordiality. 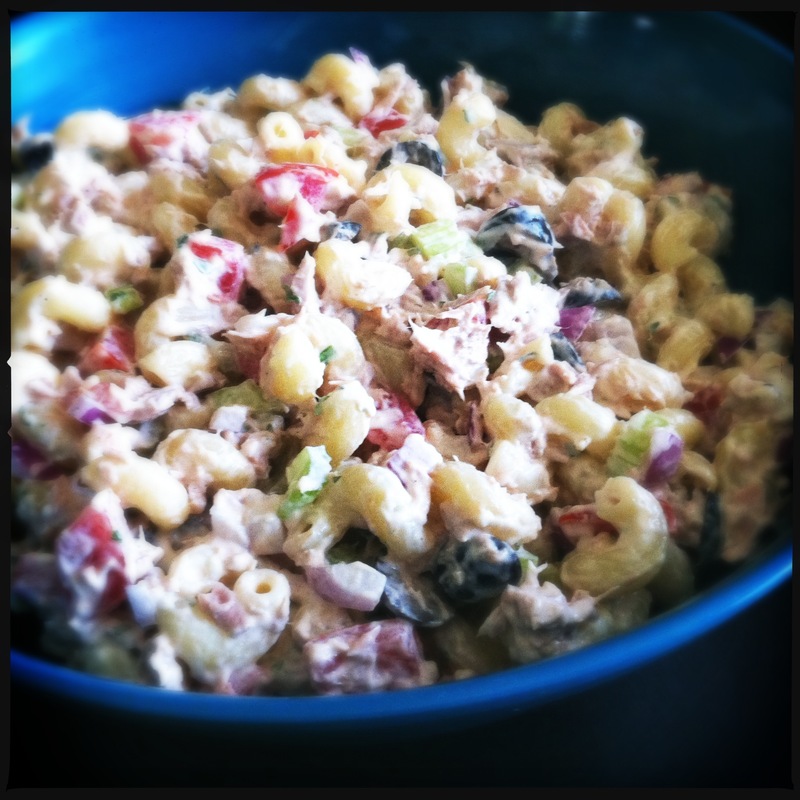 Pingback: roasted vegetable pasta salad | omfg. so good.